Leading manufacturers of various interior design solutions, i Wall has an excellent reputation for using our extensive knowledge and experience to supply high-quality products that meet customer requirements efficiently. Here at i Wall, we are primarily responsible for providing excellent service while ensuring that customers are able to relax, knowing that their project, whether large or small, is being handled by our expert team of specialists who are dedicated to exceeding their expectations and undertaking projects within the agreed specification, that are cost effective and meet very tight deadlines. We as a company pride ourselves on our ability to provide outstanding support and advice wherever possible and guiding the customer throughout the process, finding the best fit for them as well as new and innovative ideas that satisfy their needs quickly and efficiently. > Acoustic Pods & Workwall. We at i Wall have managed to maintain professionalism as well as an excellent reputation by providing continuous communication with both clients and specialists, ensuring high-quality results that fully understand and appreciate their urgent requirements. We also provide a tailored design and bespoke specification service, as well as our integrated and precise programming and installation. Offering post project appraisal and first class quality, we as a company strive to use environmental initiatives for both material recyclability and energy reduction purposes. i Wall have always been a generous lot, well 2019 proves no different! The Football Foundation is the UK’s largest sports charity funded by the Premier League, the FA and Government. After months of hard work, we are delighted to officially announce the launch of our redeveloped website. The first based within the Herman Miller showroom in Aldwych features two meeting rooms showcasing our award winning, single and double glazed glass partition systems, including double and single glazed door options. Xmos is a fabless semi-conductor company based in the heart of Bristol. The i Wall Team were professional during the entire fit out. Everyone is pleased with the innovative space created. 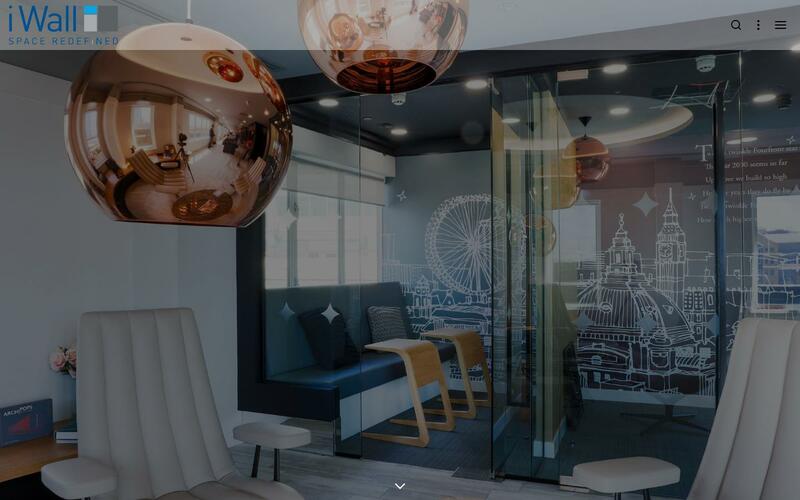 The overall project created was a clean, modern and stylish look which, along with strong acoustic performance, gave the client space they needed as well as the level of desired confidentiality. The i Wall team were professional from start to finish and I would have no reservations in recommending them for future projects. Excellent project delivery by the i Wall team from commencement of RFI (request for information) to completion of installation with high quality single and double glazed partitioning systems throughout the building. This installation was delivered and installed on time to a high quality standard throughout. It has been a pleasure working with the highly professional i Wall team who interpreted the project brief entirely from concept to delivery. We would absoluytely have no hesitation in specifying and working with i Wall team for all future projects.